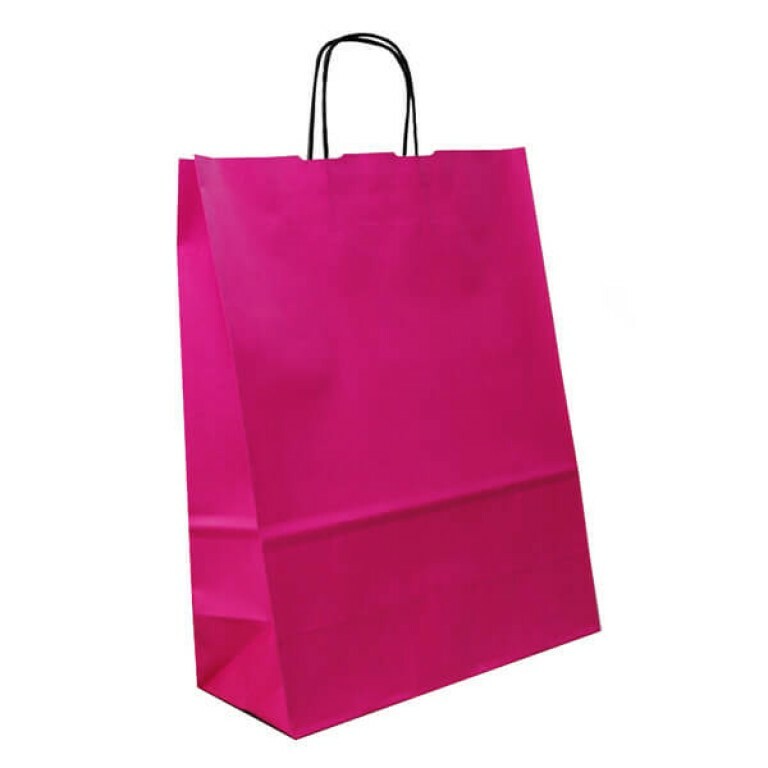 Cerise hot pink coloured paper carrier bag with black twisted paper handles. The size of this bag is 320mm x 420mm + 140mm bottom/side gusset. This bright cerise coloured paper carrier bag has a contrasting white interior and is a perfect for ladies’ fashion and children’s clothing retailers. It can easily accommodate jeans, sweaters, shoes and hoody’s and is available in packs of 50 or boxes of 150.